Weather is, of course, a critical component of safe and efficient air travel. Pilots, navigators, air-traffic controllers, and maintenance technicians all need to know current conditions in order to do their job: move aircraft and passengers safely through the airways. 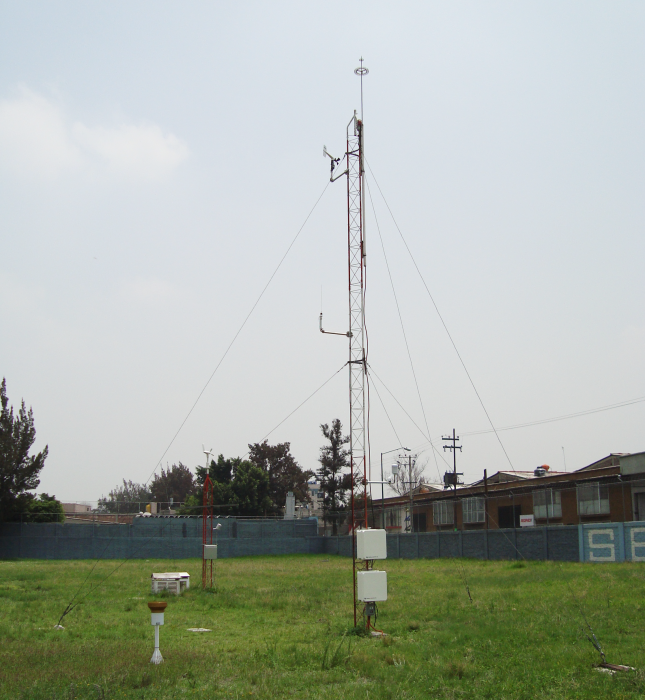 The Mexican Aerospace Navigation Service (SENEAM) is the agency responsible for providing meteorological data to airports in Mexico. To capture and make available to airports more of this critical weather data, SENEAM contracted with Disime, Campbell Scientific's representative in Mexico and a highly qualified integrator and consultant, to install comprehensive weather stations at six airports. In addition to standard weather conditions, the agency required visibility measurements, special runway visual range (RVR) calculations, and high-accuracy pressure sensors. Disime chose Campbell Scientific dataloggers for their ability to handle the large array of sensors and the complexity of data involved. SENEAM wanted weather stations that generate high-quality data while still meeting a reasonable budget, and Disime was able to configure stations to match those needs using gear mostly available as standard products from Campbell Scientific. At each airport, the sensors are attached to a Campbell datalogger. (They first used the CR10X, then began using the CR850 when it became available.) The datalogger uses a VHF radio to broadcast the data to a PC. Disime set up the system software to display data that fits the customers' needs and the requirements of the International Civil Aviation Organization (ICAO). Disime and SENEAM found that the Campbell systems were more affordable than similar products from other companies. Also, the maintenance and parts costs are low, and parts are readily available. Disime is planning to use a similar system at a private airport for an upcoming project.